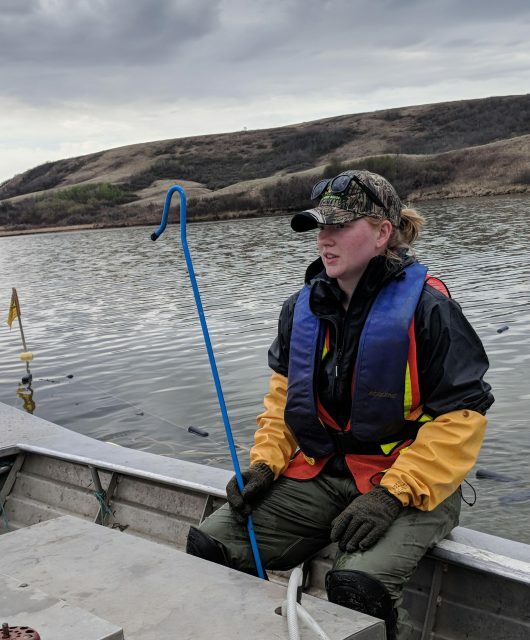 Whether it is a short distance between feeding sites, or thousands of kilometres between nesting and overwintering sites, just over half of the bird species in Canada migrate at some point in their lives. It is thought that many of the long distance migrators evolved from species that originate in the tropics, and began moving North during the summer to take advantage of insect prey and the longer days during summer. 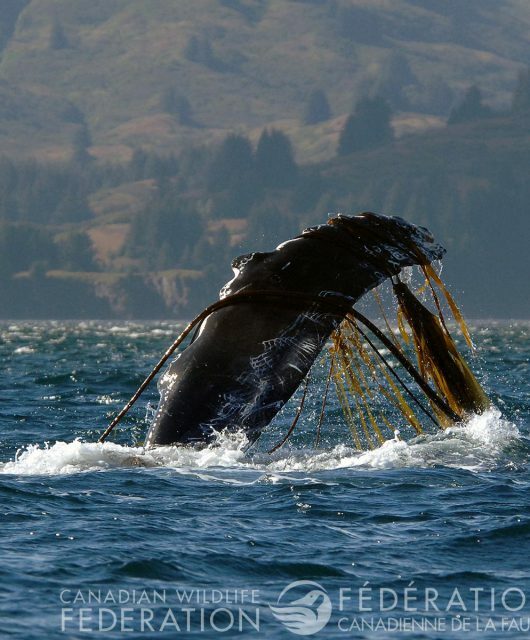 These species still return to their tropical areas in the winter to avoid the cold as well as the low food supply. On the other side of the coin are those species that remain for the duration of winter. It is thought that the advantages of staying put are not only the energy savings from avoiding long distance travel. Remaining and defending the best feeding and nesting sites from competitors gives non-migratory species an edge come spring-time. In addition, having more time to rear nestlings allows for more parental care and lets the young grow larger and stronger before having to go out on their own. Growing more feathers to thicken their insulation against the elements. Feather fluffing – a process to puff out their down, trap more air in their feathers and insulate better. Roosting in groups – social species (such as chickadees) tend to huddle together to sleep in tree cavities or nesting boxes. Warming feet one at a time by tucking it up under its downy feathers. Lowering their metabolic rates while sleeping, dropping both their body temperature and heart rate, enabling them to survive the cold nights and maintain energy levels during the day. Not all species are able to do this, but some can! How Can You Help Overwintering Birds? You can help by providing roosting or nesting boxes, as well as windbreaks for bird rest areas. Make sure you clean out your nesting boxes every fall to make room in them for groups of birds, especially if the box was used in the spring for nesting. What do Birds Eat in the Winter? 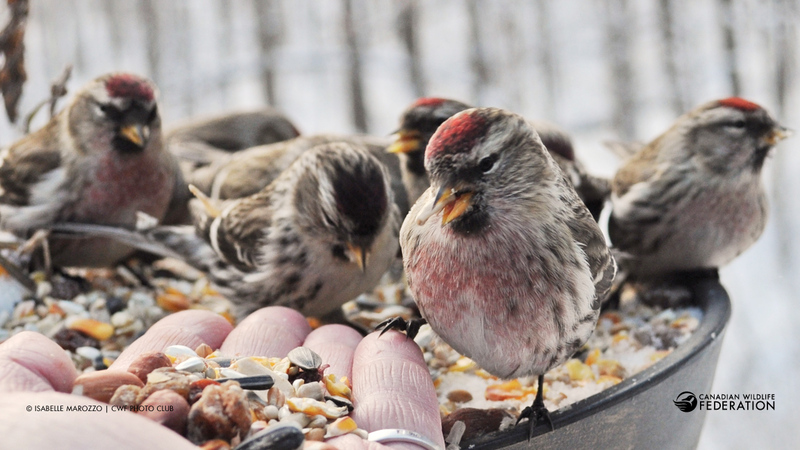 Other than behavioural changes, wild birds in Canada stay warm by increasing their metabolism to maintain their internal body temperatures. This means that birds need to increase their caloric intake to survive the winter. In other words, they need to eat a lot just to keep warm! Winter is the time of year when food is scarcest for birds, with very little insect activity and a coat of snow covering nuts and seeds on the ground. 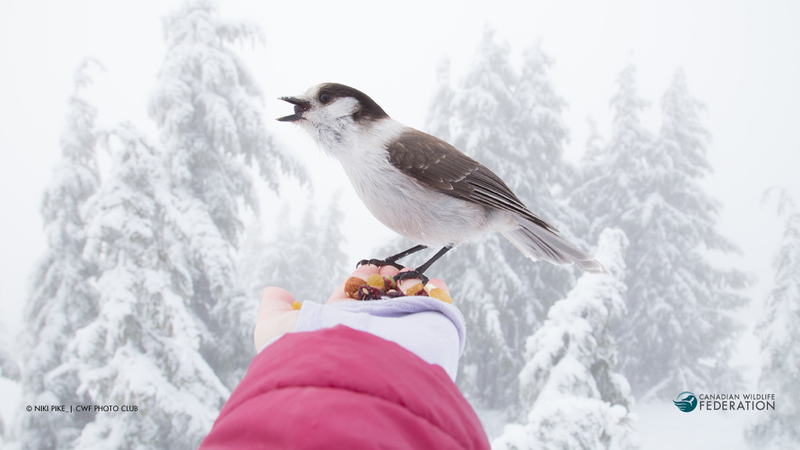 Some birds, such as Gray Jays, prepare for this by stashing food during the summer for consumption in the winter months. Others, such as woodpeckers, search for overwintering insects and larvae in trees and bark. Even with these preparations, a lot of birds benefit from supplementary food sources, especially in our urban world where a lot of trees and natural areas have been replaced with concrete buildings and houses. Many species, such as chickadees and goldfinches, flock to find reliable food sources, and search out feeders ahead of winter to prepare themselves for food security. What do Birds Drink in the Winter? It is often more difficult for birds to find an unfrozen water source than to find food in the winter. Birds can eat snow, but the energy cost of warming snow to body temperature is far more than drinking from an unfrozen source. Birds often fly great distances to take advantages of open water on swiftly running streams or rivers, although these long flights will zap their energy. If you feel the need to provide water during the winter months, be careful with both aerated and heated bird baths once the temperatures dip below zero. Especially in extreme cold, birds that bathe or get their feet wet can suffer or die if their feathers freeze before they finish preening or if their feet freeze should they perch on a metal fence or post after a splash. You can avoid this by using a plastic grate that only lets the birds’ bills access the water, rather than their feet and feathers. 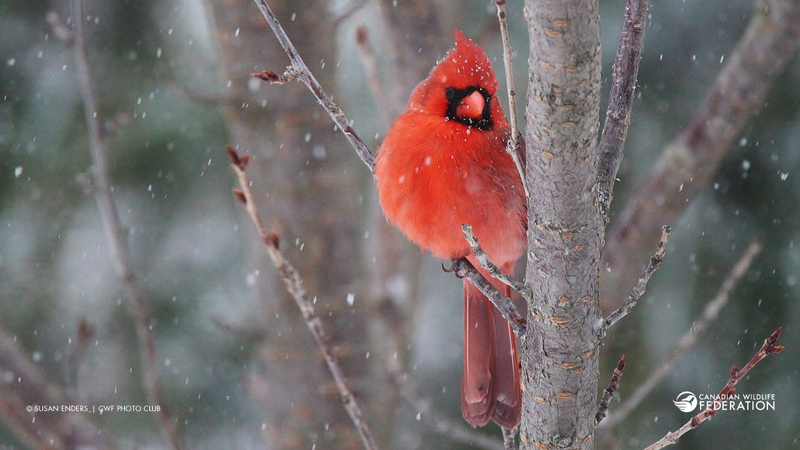 Visit our website for more bird feeding tips and explore our Below Zero website to learn more about wildlife in winter. Elizabeth Sears works at the Canadian Wildlife Federation as an Insect Taxonomist. 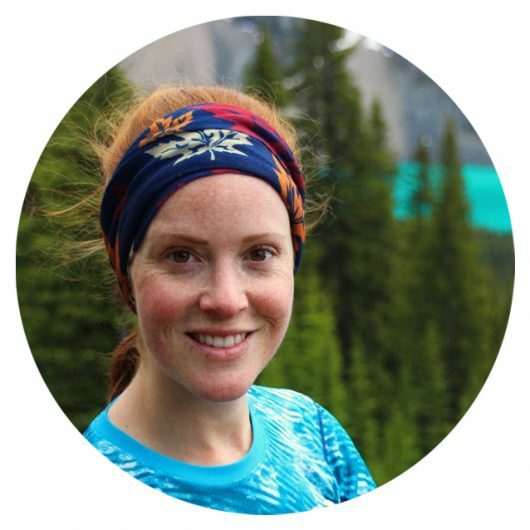 Originally from Ottawa, she spent the last decade in Guelph, ON, first completing both an undergraduate and a graduate degree in Integrative Biology and then working at the Centre for Biodiversity Genomics at the University of Guelph. Biodiversity, conservation and insect pollinators are some of her greatest passions. Triple Your Gift and Help Species At-Risk! I worry a lot about genetically engineered grains being fed to wild birds and also suet that is taken from animals that have been given hormones and antibiotics. How do you feel about this?